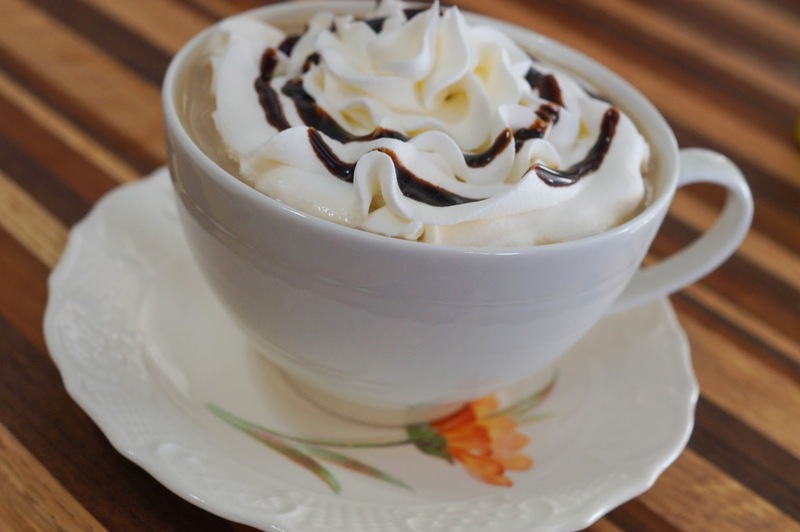 Recreate your favorite fancy coffee drink at home. 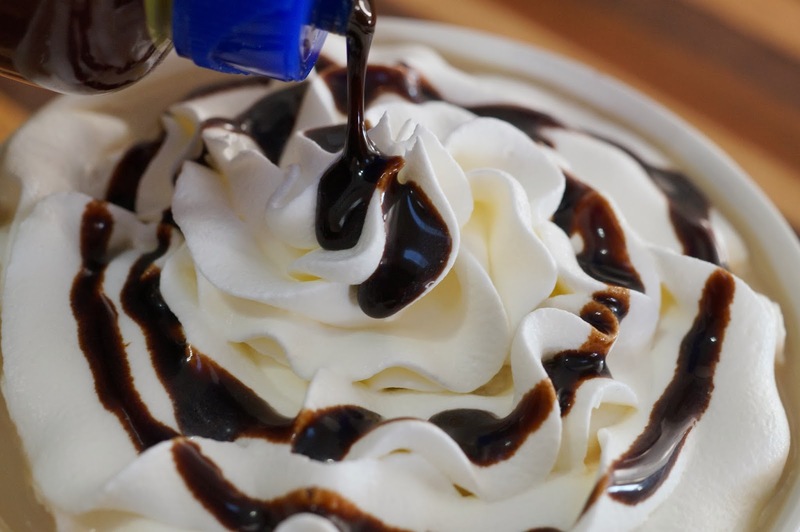 You can leave off the whipped cream and drizzle of chocolate but why would you? It adds to the fanciness! Even if you don't have an espresso machine you can make this drink. I promise it isn't hard! Use the steamer on your espresso machine to heat milk or microwave until about 150 degrees. I use 2% here at home but you are welcome to try non-fat, 1% or whole milk. 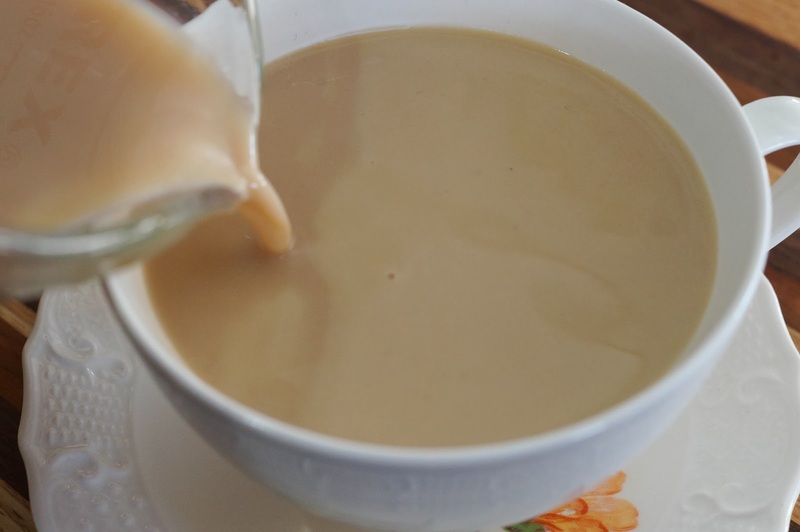 Pour 1 ounce or 2 Tablespoons of the white chocolate syrup into a 2 cup measuring cup. Pour in your espresso which should measure about 4 ounces to add to the syrup. Pour your milk in until it reaches 12 ounces. Pour into your coffee cup. Add whipped cream. I used a frosting decorator tip in a large star shape and a disposable plastic baggie to make it pretty but there isn't anything wrong with spooning it on. If you spoon it on, get as much on the spoon as you want and lay the spoon down into the coffee. 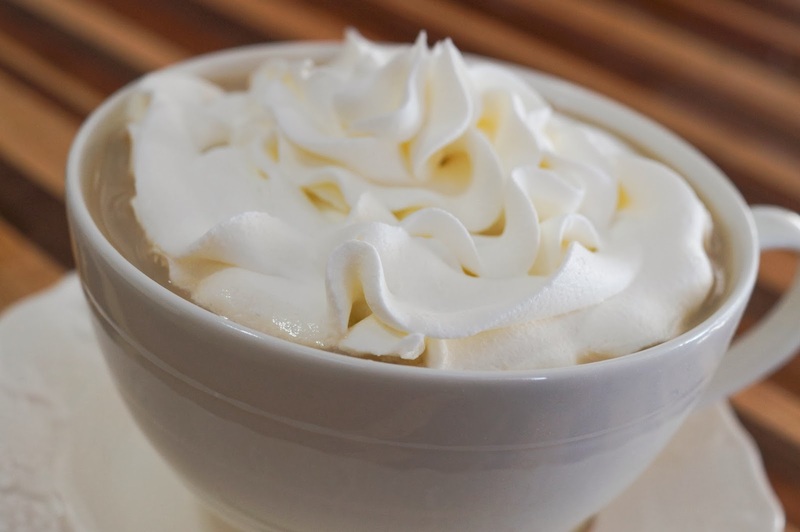 The heat will make the whipped cream pop right off the spoon. The chocolate syrup is optional. Sometimes they drizzle this on and sometimes not. Sure looks pretty! OMG! I am a huge fan of anything coffee and this looks amazing. I think I might have to run to the grocer and pick up the stuff to make this today! This is such a sweet treat!! This looks amazing! 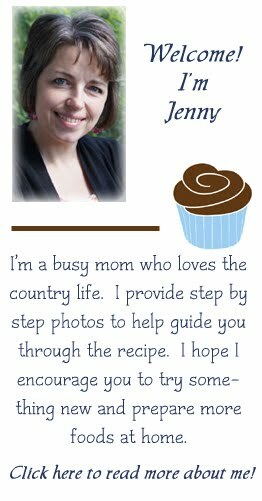 I am going to try it this weekend...thanks for sharing on the blog hop! Looks so yummy and inviting with the whip cream & chocolate on top! G'day Looks great Jenny! Wish I could try this now!